If you live in Indonesia, today, 2nd August 2013 is the last day of work before the nation-wide, week-long holiday to celebrate the country's most important public holidays of the year: Hari Raya Eid'l Fitri. This holiday is markedly significant for Indonesians, that even the Government declare 5, 6 & 7 August as "Mass Leave Days" or Cuti Bersama, while the actual festivity only falls on 8 & 9 August. So everyone has literally one week paid-leave ahead, if you include this weekend, the total vacation days are even more. With the mass-exodus of roughly 3 million people from Jakarta, this city will be a paradise for speedsters and sports car owners as it is the only time of the year when Jakarta is traffic-jam free (but of course, most of the latter will be overseas too, enjoying their Euro Trip or US Vacation, which means even less would be using the streets). It is actually a good time to visit Jakarta & to experience the charm of the city sans the gridlocked streets, but as a consequence of the exodus, many places would be closed. Fret not my folks, the shopping malls will still be open for your much-needed retail therapy and the hotels are ready to shelter you while the often-disregarded-yet-many can't-live-without helpers are back in their respective hometowns. So, what have you planned for next week? Visiting our nearest neighbour, perhaps? 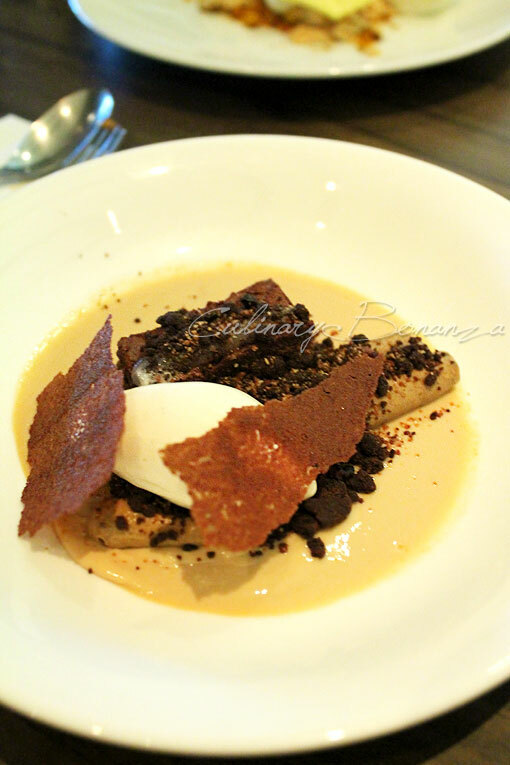 If you are going to Singapore, then there's a place that is really worth checking out, especially if you are into dessert and culinary adventure. 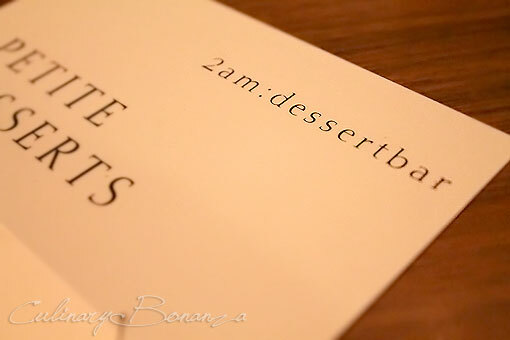 The name 2am:dessertbar is intriguing in itself, because dessert and bar are not normally related, at least, directly. 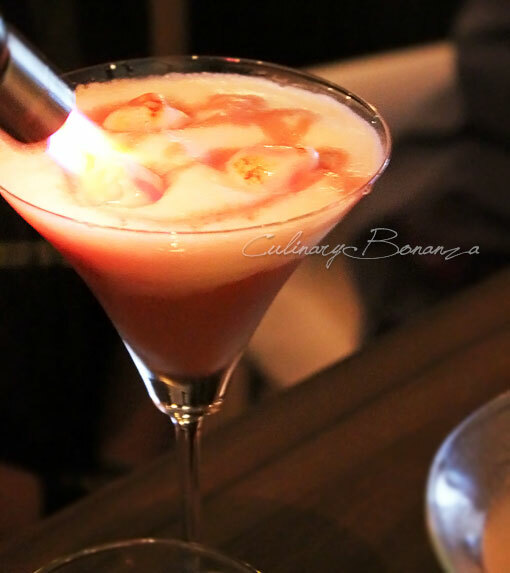 In my last trip to Singapore, I went to visit Janice Wong's place and experienced what the hype surrounding this place was all about. 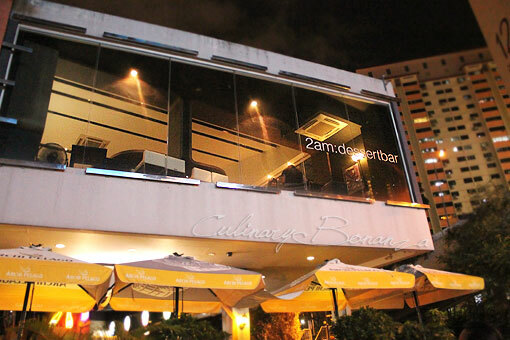 2am:dessertbar is a small niche located on the 2nd floor, right on top of an open-air bar in Holland Village, a dining and entertainment hub popular among the locals and more notably among the foreigners or the angmohs. Holland Village in Singapore is as Bukit Bintang is in Kuala Lumpur or as Kemang is in Jakarta. 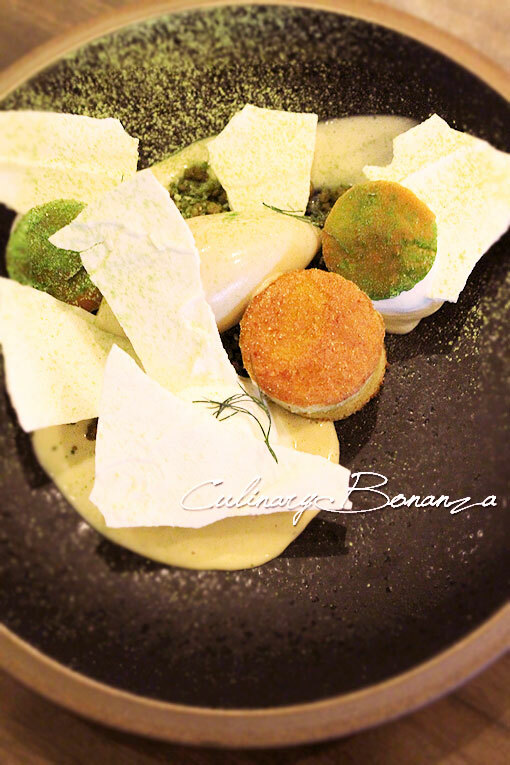 Janice Wong who was recently crowned as Asia's Best Pastry Chef at the inaugural Asia's 50 Best Restaurants award earlier this year, possesses a brilliant flair in combining taste and materializing it in the form of beautiful edible art on a plate. I watched Janice prepare each plates by herself, hence making sure that each serving is immaculate. In person, Janice's humble persona conceals her brilliance and creativity. 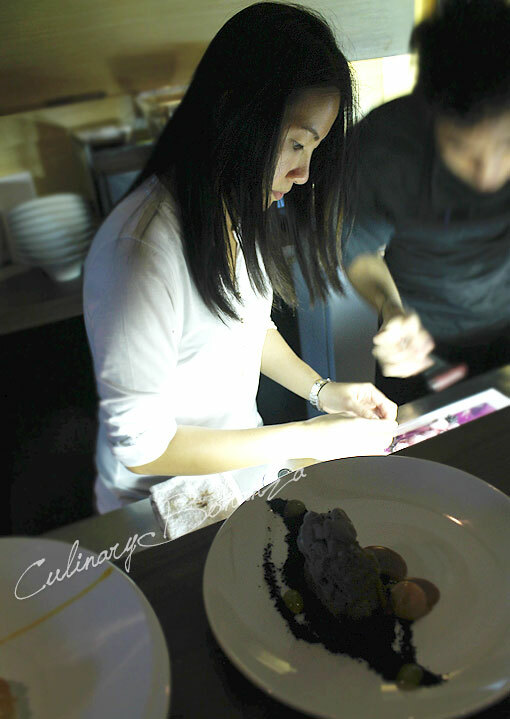 Who would've guessed a Bachelor of Economics would become Asia's top Pastry Chef? A quick glance at the menu would make amateurs lost in translation, guaranteed. 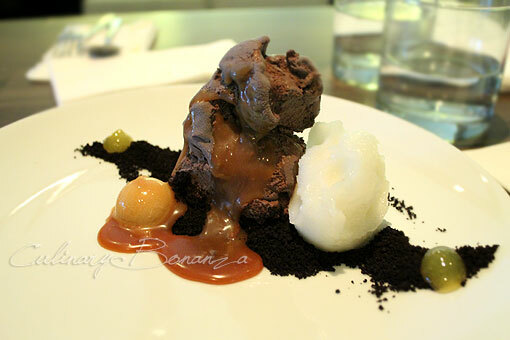 At 2am:dessertbar, Dessert IS the Main Course, and they each come with recommended wine pairing. 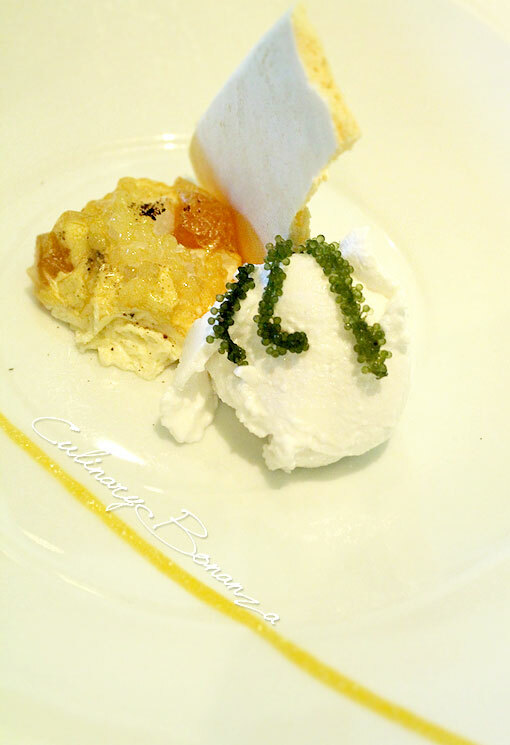 From my short gastronomic experience, normally dessert would be paired with either dessert wine or Moscato or other slightly sweet and light (mostly white) wine. However, don't be surprised to read some lines like this: Red Miso Caramel with recommended pairing Manawa Pinot Noir Marlborough New Zealand. 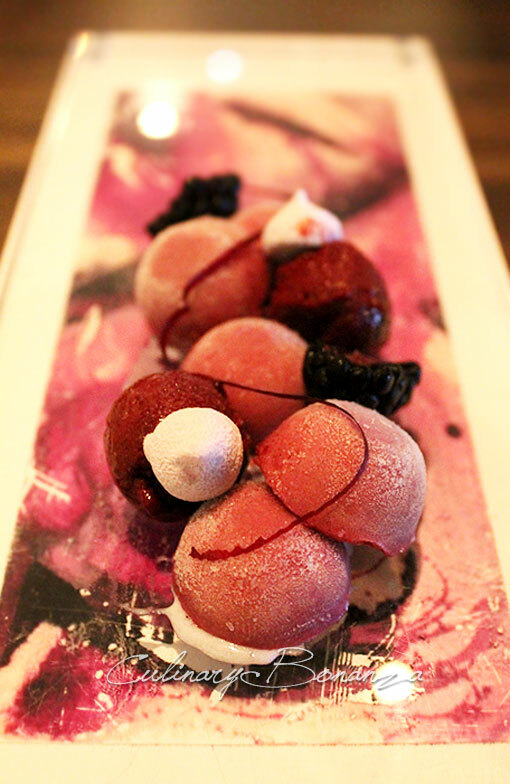 Yes, you read correctly, that was miso and Pinot Noir and that shall be your dessert. Besides the Wine-paired Dessert, you can also find Petite Dessert (lighter & classic dessert, no wine pairing) and Snacks. The Beverages menu has the usual Beer, Tea, Coffee, White, Red Wine, Champagne & Sparkling, Sherry, Liquor, Sake, Cocktails. The Cocktails are particularly interesting, or at least those that we had, which were prepared at our table. 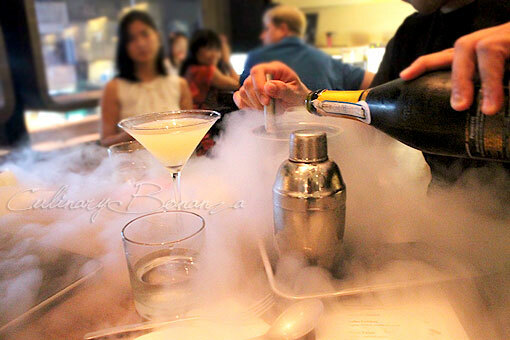 I was quite in a blur last time, but I think they used Liquid Nitrogen to freeze the Champagne and torched the marshmallow on top of another cocktail. Turns out the Snacks were quite a teaser too. The Braised Beef Croquettes and Snack Platter were soon emptied even before the first cocktail was made. I guess we were plain starved at that time, since we missed dinner earlier. 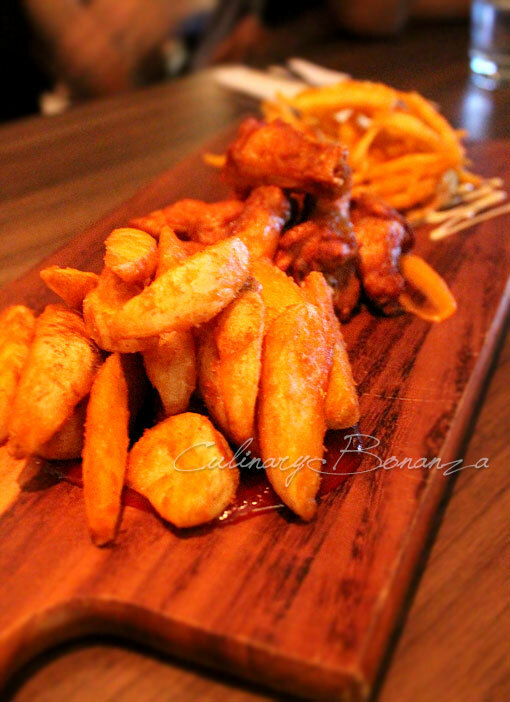 After all, what could go wrong with fried finger food? I won't single out any particular item from the Menu, because each are unique and should be given a try. It would be nice to come in a group, so you can each order one item and try the others' out; not that the portion is that big anyway. From my observation, what makes Janice's desserts so special besides the fact that they are crafted-upon-order (not mass or produced in bulk like sliced cake, etc), is the harmonious combination of various components. 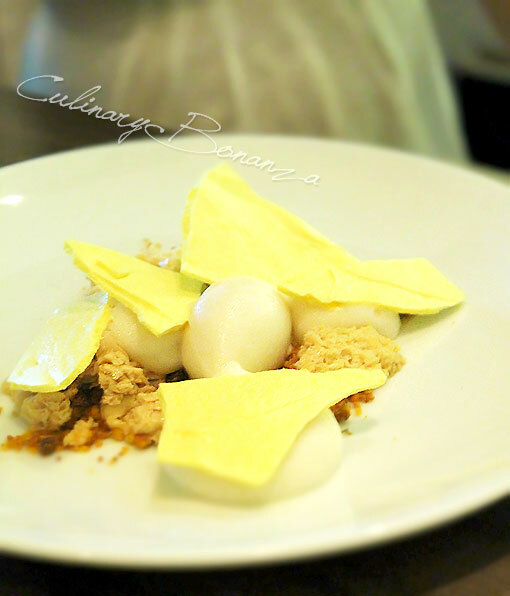 Some are purposely clashing (like the miso and caramel in the Red Miso Caramel), some are quite similar (like the Raspberry Parfait and Forest Fruits Sorbet in the Lavender), also the playful mix of different textures (crispy, crunchy, icy, chewy, crumbly, smooth, etc) and shapes (flat sheets, balls, mounds, etc) to create beautiful and delectable pieces of art. Seeing the pictures is just part of the experience, you have to try them for yourself, to believe it. Despite my attempt to be objective, I have to admit that Kayambe H2O appeals the most to a dark chocolate lover like me. 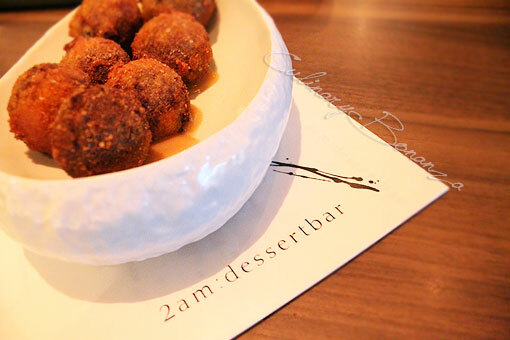 So, 2am:dessertbar is a place that you want to visit and to have an intimate evening with someone or a group of friends. It's an ideal post-dinner destination before heading home, where you can stay until 2 am. 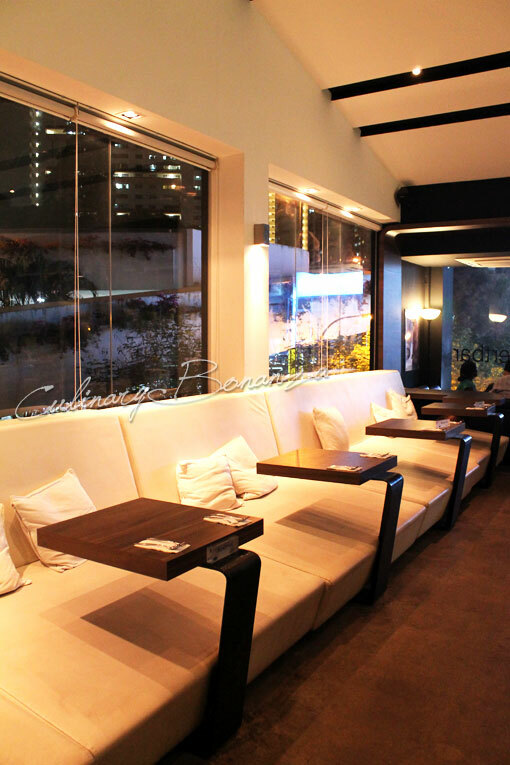 Oh, the white lounge sofas against the wall sure look cozy for couples! NB: This place imposes NO CHILD POLICY for children aged 0 to 6 years. Betul Nez, Holland Village seru banget apalagi kalo malem! you were pretty lucky El! waktu kemarin kesana sama Umay lagi di Lab dia..